Is it a cold? Or is it really allergies? Is it a cold or allergies? This is a question that plagues many people this time of year. On one hand you’ve been sneezing and sniffling, swallowing over-the-counter meds every few hours. On the other hand, it’s been going on for two and a half weeks now and it seems there is no end in sight. Let’s take a closer look at some of the similarities and differences to better understand what may be ailing you. 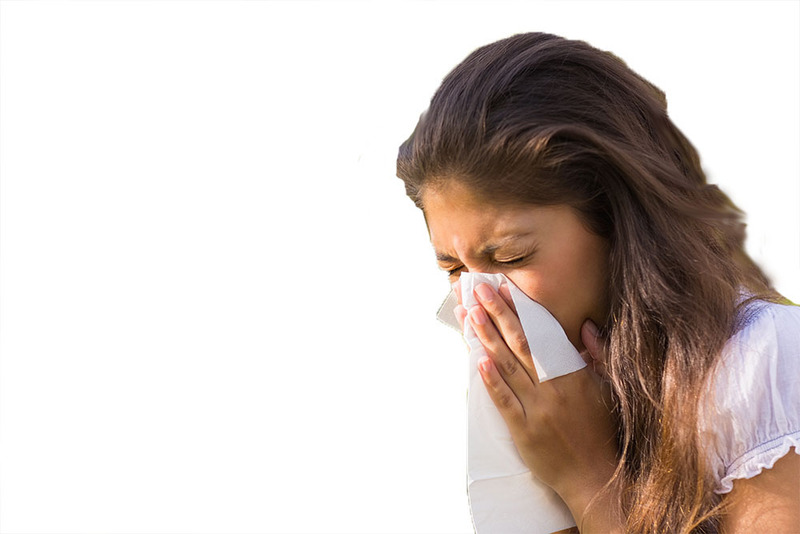 “People with allergies are sometimes more prone to catching colds. Recovery from a cold is usually quick – in fact, the average duration of a cold is 7 to 10 days. If symptoms last more than a week or two, the cold may have progressed into a secondary bacterial infection such as bronchitis or sinusitis. Allergies are more difficult to predict and can be a little tricky, they can be seasonal, or come and go daily and reoccur often” (Dr. Ted Crawford, DO, Medical Director, Sun Life Family Health Center, 2017). As the season begins to warm, the plants begin to pollinate, spreading the ‘joy’ in the air to all of us who are susceptible to seasonal allergies. However, we are still in the middle of cold and flu season. So the sniffles may very well be one last ride on the Rhinovirus bandwagon. Allergies range from mild to seasonal allergies with more severe symptoms; which can cause life-threatening reactions. People can have an array of symptoms and allergic reactions to any number of things, including various airborne pollens, foods, medications, and allergy shots. Whether you have a mild or severe allergy, you should know the proper response to a reaction, address accordingly, and minimize your discomfort. Scheduling an appointment with your Sun Life Family Health Center provider is the first step to treating your cold or allergies. He or she will be able to diagnose your symptoms and refer you to a local (specialist) allergist. The allergist can then test you to find out what triggered your allergic reaction and can prescribe medication or give you allergy shots to help manage your symptoms. Tip of the Month – Cut down on dust in your home. Concentrate on cleaning your bedroom where you sleep. Wash all of your bedding regularly. Wipe dust off dressers, night-stands, appliances, ceiling fans, and wear a dust mask while doing so. Clean your house regularly with a vacuum.